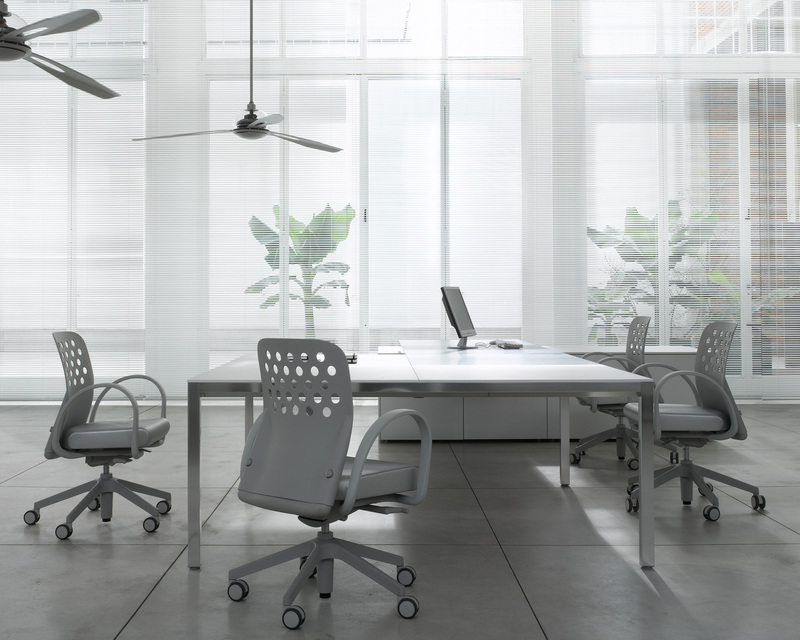 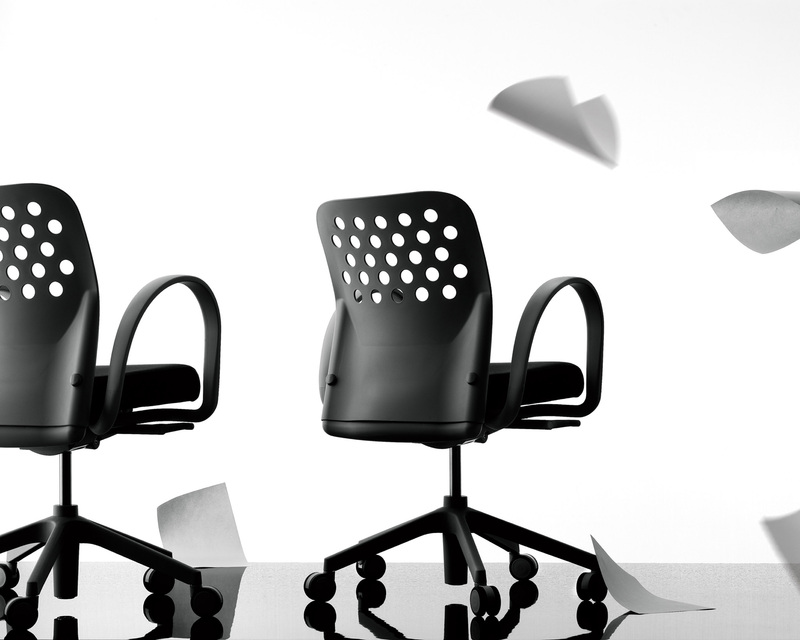 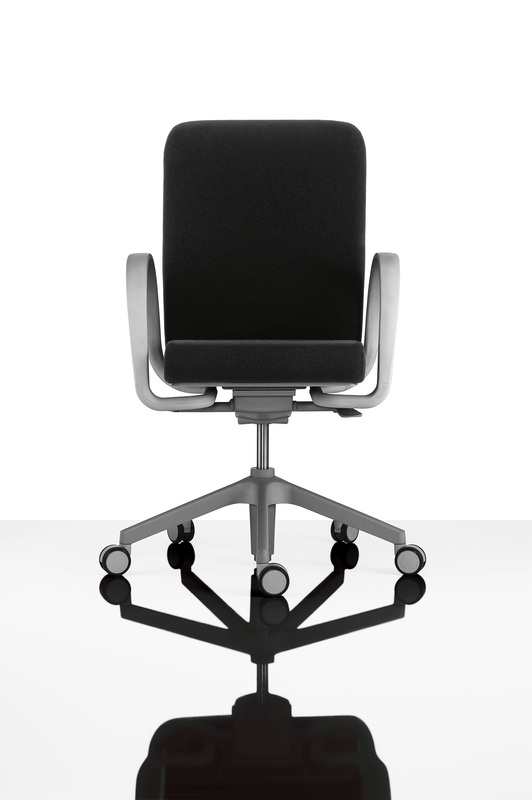 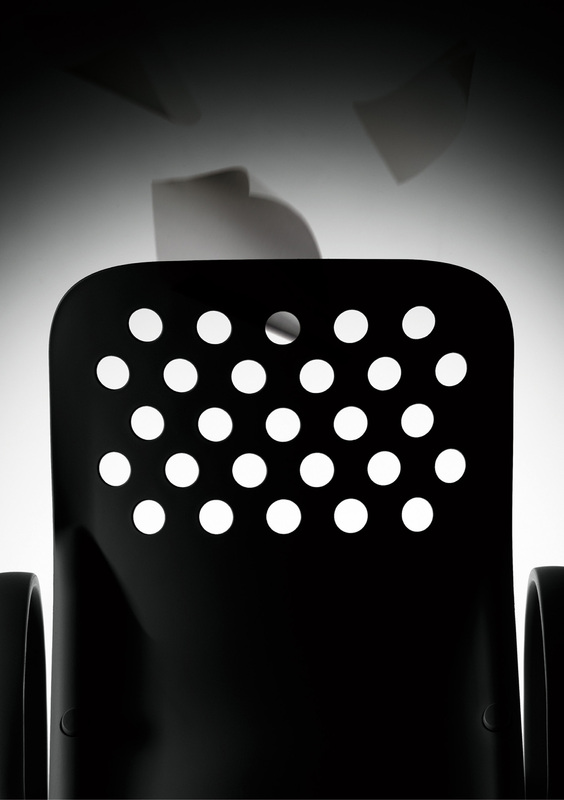 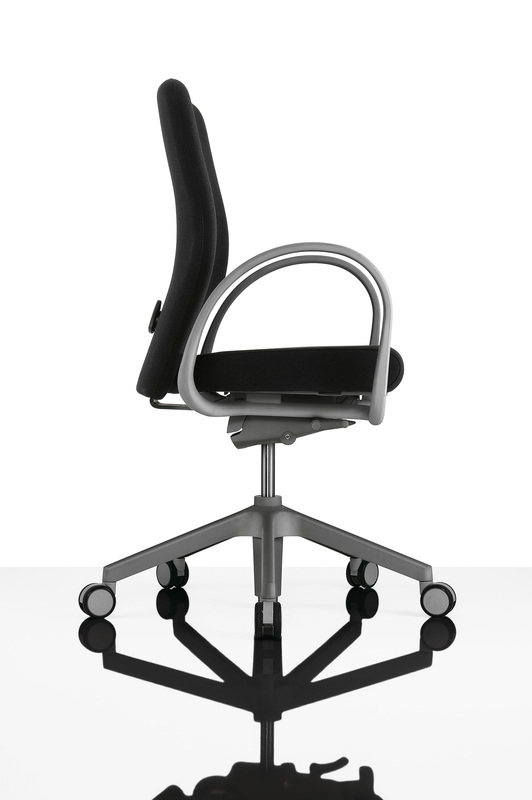 JAZZ is a range of office chairs, combining ergonomic functions with simple lines to get a friendly, relaxing image and offer a high degree of comfort for the user. 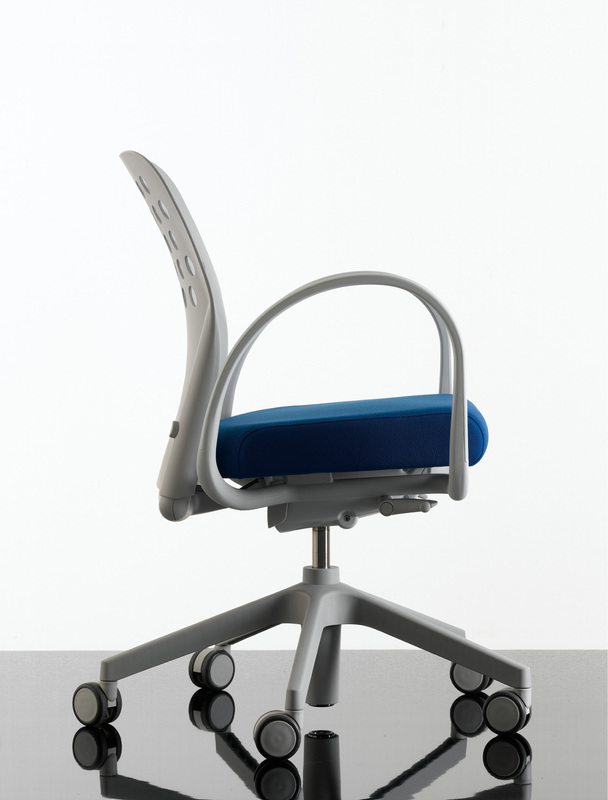 They are formally characterized by an adjustable technopolymer curved backrest with wide round holes in it. 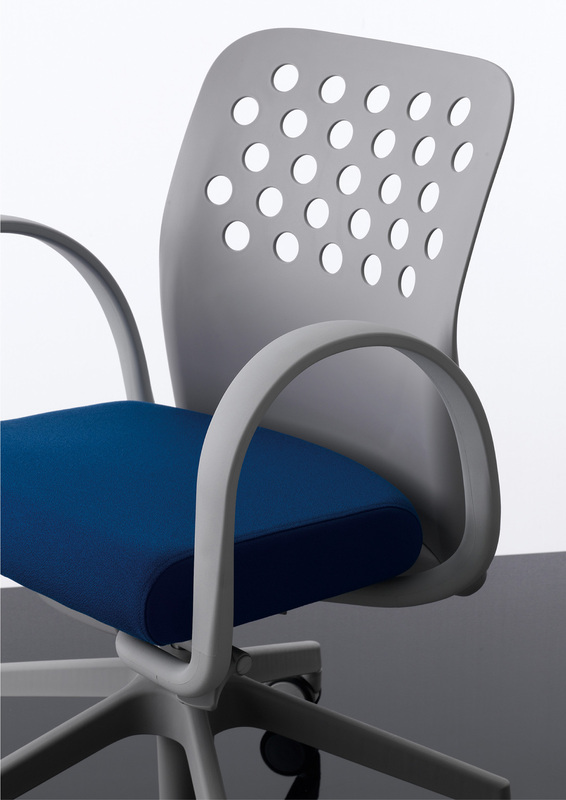 An upholstered backrest is also available. 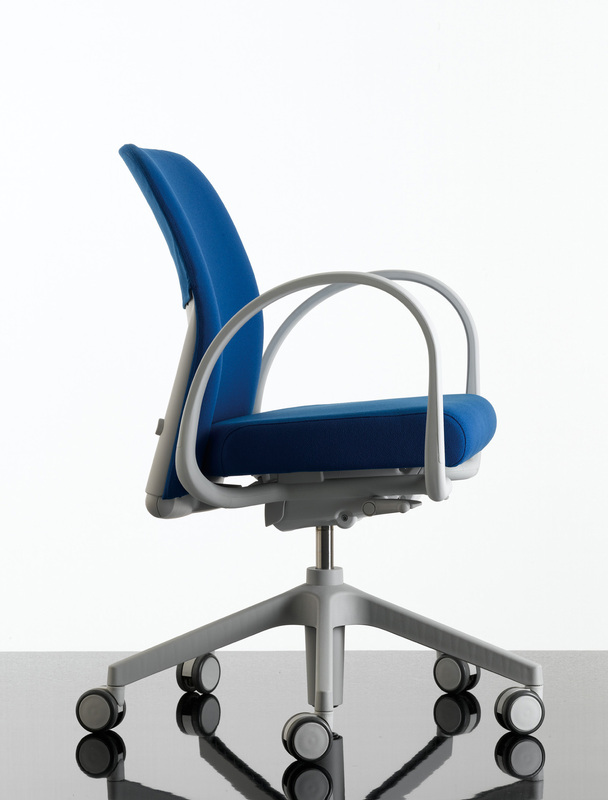 The working chair features a star techonopolymer base on castors, with gaslift mechanism, and two differernt armrests: “ring” armrests, for practical arm support, or “T” height-adjustable armrests, to provide a correct position for shoulders and arms. 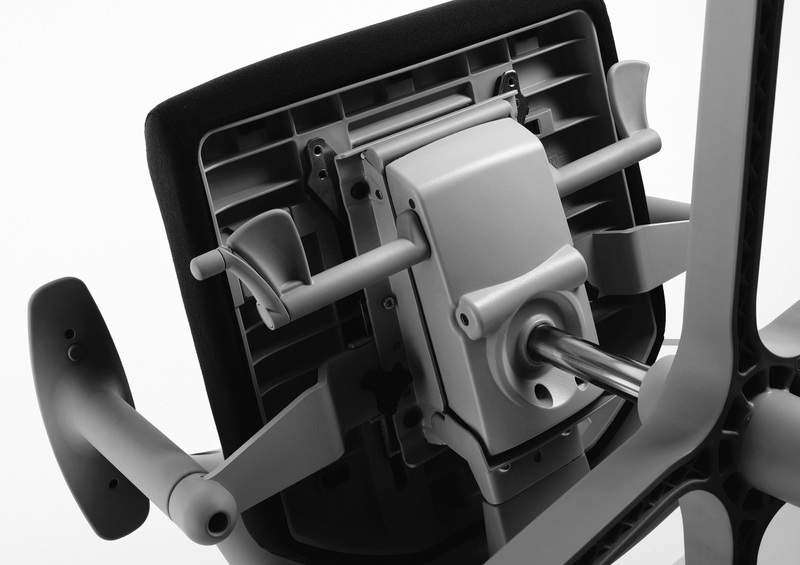 Technopolymer castors for hard and soft floors have automatic bracking mechanism. 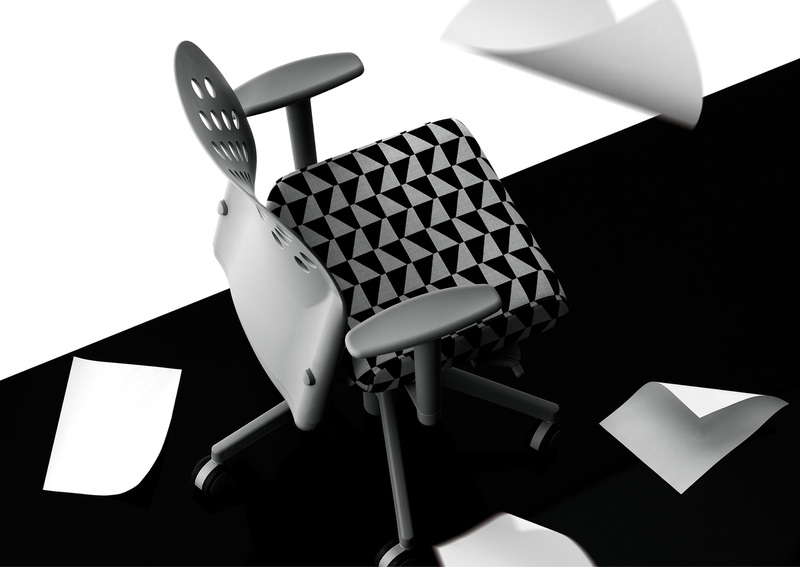 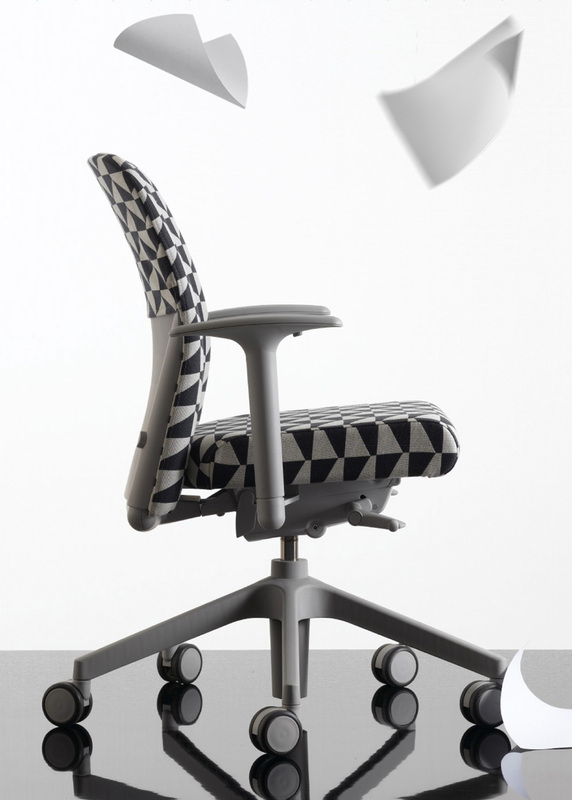 The structural solution for the Jazz range involves the use of injection-moulded fiberglass-reinforced-nylon for most components (base, seat, back, armrests), in a pearl-grey colour. 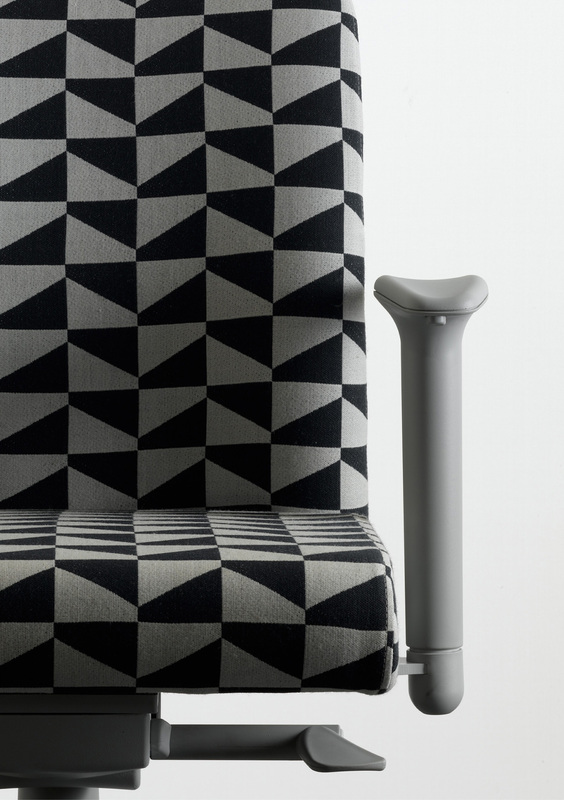 The seat is foamed and upholstered in a wide range of high-resistance fabrics, in wool, trevira CS and nylon-wool. 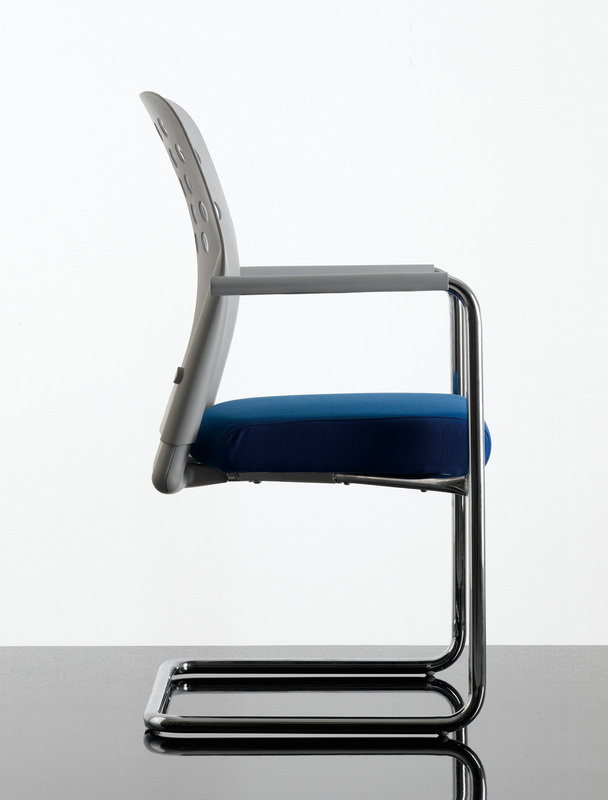 Matching visitor chairs are available with chrome base frames, upholstered seat pads and fixed height backrests both in technopolymer and upholstered. 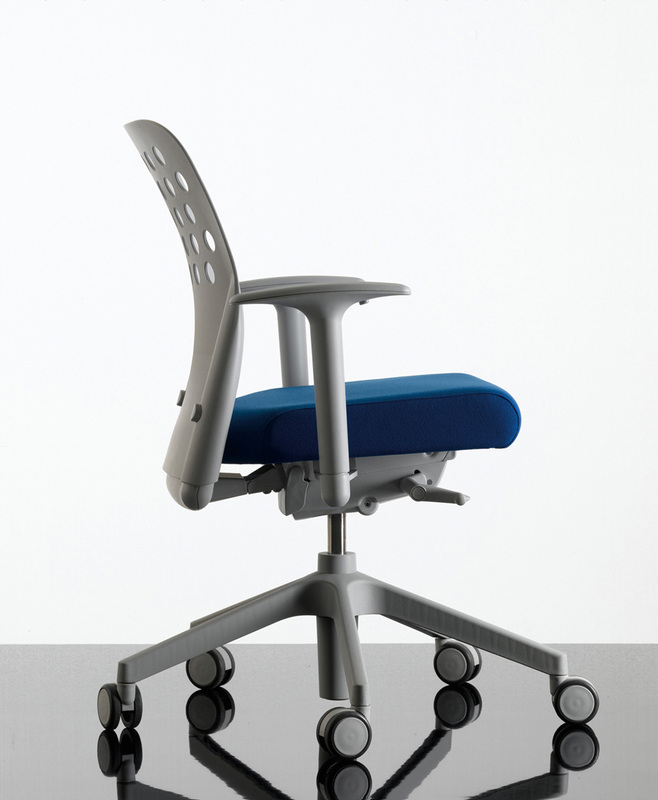 JAZZ has been tested according to EN 1335_1, 2, 3: 2000, ANSI/BIFMA X 5.1_1993, BS 5459_2/90 9a.